Only three months ago, I asked myself in these columns how a politically aware French citizen could you not be jealous of Spain and the renewal of its democracy that it is currently undergoing. Sure, the Spanish learning process is difficult: instead of living with the oh, so convenient binary system and its comfortable pseudo-stability, the country has to put up with complicated negotiations for a possible government coalition and perhaps even with new elections as early as this summer. 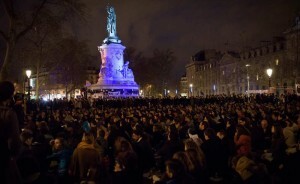 But at least there are alternatives, there is renewal, there is public debate, and there is a remote hope for change. In comparison with the Spanish picture, France looked hopelessly sclerotic. But in April 2016 there are some timid signs that things might be moving after all. Since 31 March, several thousand youths have turned a simple demonstration against a dead-born labour law reform into a kind of movement that seems to take inspiration from the Spanish indignados and might well become a sustainable political force. Whatever the short-term outcome of the still rather diffuse protest, these young people are very clever brand managers: the lovely poetic name they gave their movement is ‘Nuit debout’, which manages to encompass both the act of standing up for one’s interests, and partying through the night (and which is already triggering spin-offs like #SciencesDebout). And their headquarters is, of course, the well-named ‘Place de la République’. Paris in the spring! 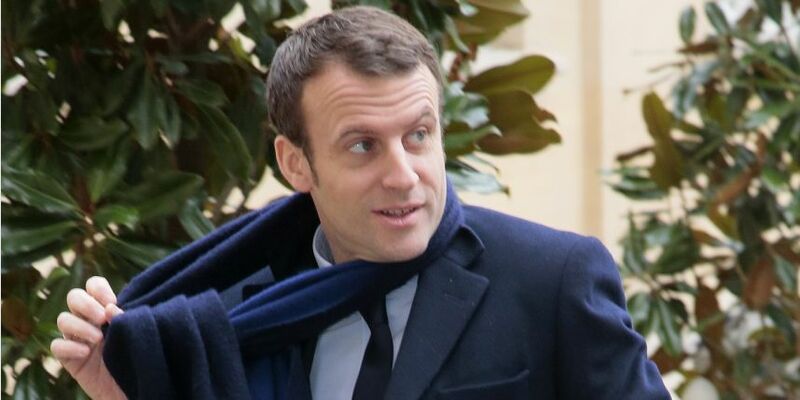 At the very same time, in a totally different environment, Economy Minister Emmanuel Macron has launched a new political movement called ‘En Marche’, with the aim to position himself outside the eternal ‘left’ vs. ‘right’ dichotomy. Quite risky, knowing that in this country you already commit political suicide if you call yourself ‘social-democrat’ or, even worse, ‘social-liberal’. (While Marine Le Pen has no problem calling her own party ‘social-national’, in memory of her 20th century predecessors on the other side of the Rhine, but that’s another story). Macron is by far the most popular politician in France, which is not only due to his young age (38), but also to the fact that citizens have the impression that there is, for once, a politician who is interested first and foremost in solving the country’s problems (and who has himself no material interest in making a political career). 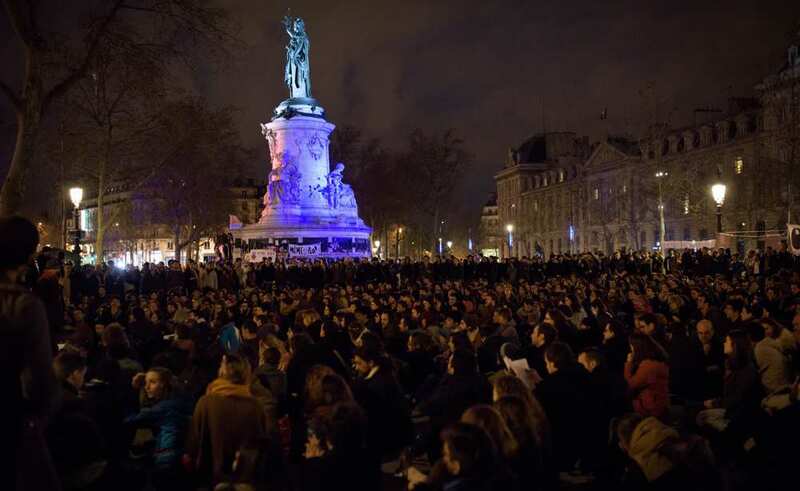 Will the #nuitdebout protesters and the smart former banker Macron have the stamina to make the fossilised party system explode like Podemos and Ciudadanos in Spain? This is the key question to any change in this great country which is so hopelessly immobilised in the straightjacket of the Fifth Republic and its paralysing obsession with the next presidential election. They might be helped by the forthcoming primary of the Republicans, which might well lead to a lasting split between those willing to ape the Front National and drift ever further to the right, and those who want to maintain a centrist position around Gaullist and Europeanist values. If at the end of the year 2016 I can publish a post on the emergence and consolidation of new movements in France that have managed to successfully challenge the traditional parties, I will be a happy citizen. And send a ‘gracias’ down south across the Pyrenees for the inspiration! This entry was posted in Current Affairs, Democracy & Citizenship, Global & International and tagged citizenship, democracy, France. Bookmark the permalink. Next: Brexit: What would Monnet and Schuman say?